Hiwa K at the Ruya Shop showing three films: Moon Calendar, (2007), A View from Above, (2017), and Pre-Image (Blind as the Mother Tongue), (2017). 11th January-2nd February, 9-2pm Fri and Sat, at the Ruya Shop on Mutannabi Street. Moon Calendar, (2007) is a documentation of the rehearsals for an unrealized performance that took place during a visit to Amna Souraka,The Red Security Building, in Sulaimaniya, Iraq. This building was a prison and torture centre under Saddam’s regime. 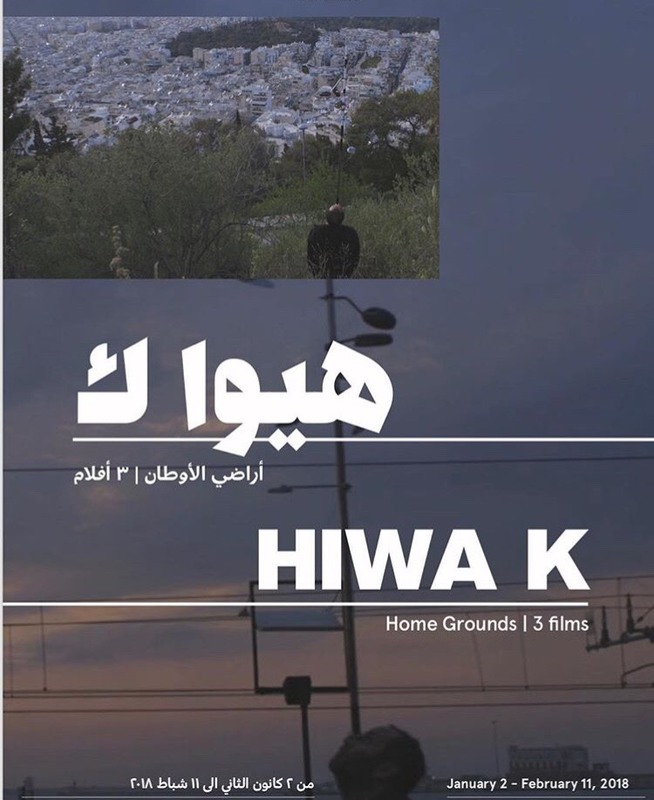 depicts the artist walking across fields, wastelands, estates, going from Turkey to Athens and then to Rome, a path that mirrors his own journey as a child, when he fled Iraqi Kurdistan and reached Europe by foot. His “Pre-images” are fragments of a path whose final destination is uncertain.